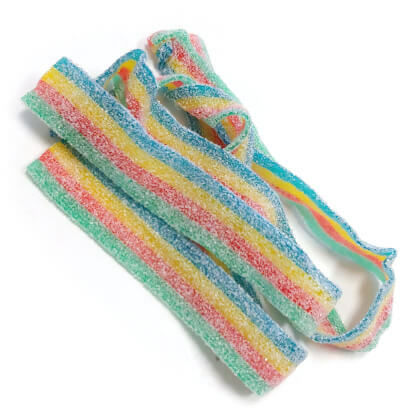 Pucker up and enjoy these delicious sour power candy belts with a sour coating. Quattro flavor includes strawberry, green apple, tutti fruitti and blue raspberry. Made by Dorval. Not individually wrapped. Approx. 3.5 belts per ounce.